searching for christmas decorating ideas with a modern edge? discover our noel™ 3-pc small snow-flocked tabeltop christmas tree set with modern ornament balls. a time-tested holiday classic: our decorator's-choice noel™ christmas tree set features beautifully colored ornaments and a classically styled mid century design with modern touches. 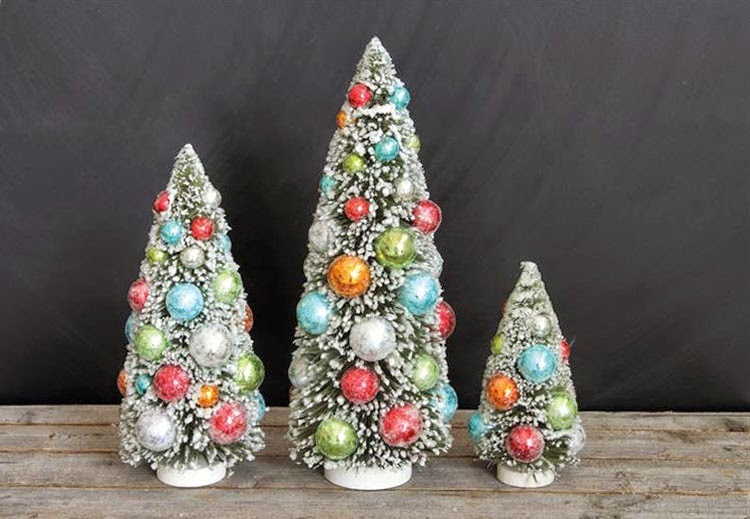 instantly add a touch of style and sophistication to a table, mantel or shelf with this 3 small christmas trees. hand-crafted from an attractive mix of glass ornament balls in complimenting color ranges. trees come fully assembled and are ready to install right out of the box. price is for the set of 3 (three) trees.